They come in all shapes and sizes. Golden Rule: Make sure it will fit through all doors into where you want it. All table tops, most upright single arcade, jukeboxes and pinballs will fit through a standard door. BE VERY AWARE OF PVC DOORS. They can be quite small. Always check the size. Again depends on the machine, but usually 2 people can move it. Again if you live on the 3rd floor with no lift you are going to struggle getting a twin sit down driver up!!!! Do they use a lot of electricity? No not really. Same as a TV. But with all electrical equipment switch off when not using. 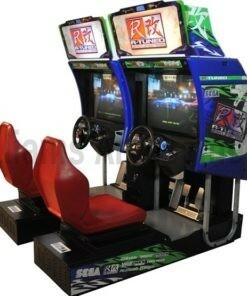 Usually £95, however larger arcades command a premium. Best to email for a quote. Also if you live on an island or the far north of the British Isle give us a call for a quote. When I have ordered, how long before delivery? If its in stock and ready then usually can ship within 7 days. If we have to build it or refurb it then lead time is usually 3 weeks. HOWEVER September, October, November and December this can be pushed to 5/6 weeks. If its for Christmas ORDER EARLY PLEASE. Can I come and play the machines at your warehouse? Of course you can. Best to give us a call 01977 310466 and we can set a few up for you. We can offer you coffee but to be honest the coffee here is rank! How can I pay for my arcade? Camels, gold, diamonds, but usually via our website checkout, bank transfer or by card. I have looked on your site and the machine I want is not listed? Don’t worry, chances are we will have it coming in or be able to source it for you. We have lots of contacts so please email or call and give us your requirements. I have an old arcade/pinball/jukebox etc. Can I in trade it against a new machine? Absolutely we will always intrade your old machine. Working or broken. Send a couple of pics and we can give you a price. 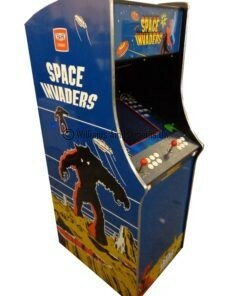 Do you buy old old arcades/pinball/jukeboxes etc? Yes. Email some pics and we will give you a price.